There weren’t any pictures for me to compare as to what it’s supposed to look like, and this is my first attempt at crocheting a onesie, I’m making it for a friend for Christmas so any help or advice that I can get would be gladly appreciated! I’m posting this in our weekly brief. Hopefully someone will be able to help. What is the problem? 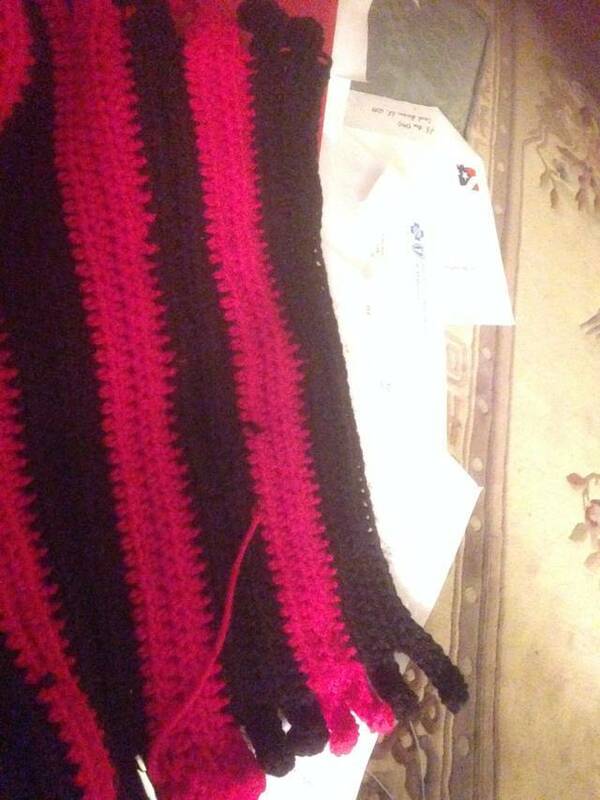 After you hdc the correct amount of stitches on row 1, you turn and continue with row 2. This is making the sleeve. You will be leaving several stitches unworked. Follow the instructions one step at a time and you should be able to complete. Let us know if this helps. It is turning out like this and I just don’t think that it’s supposed to do it. That’s what I’m comprehending and I just need help here. It doesn’t look like you are working in the “ch 8” as instructed. After chaining 8, hdc in third chain from hook, continuing onto the rest of the stitches. Are you turning after each row? If you are turning, then the sleeve should start forming. unworked for right front—45 (52, 57) hdc.